If you want a luxury sedan with some Italian flare, the new Maserati Ghibli is worth more than just a glance. Check it out today at your Maserati dealership near New Smyrna Beach, where you’ll be able to bare witness to its robust curves, twin-turbo V6 power, and dynamic handling on the roads of Jacksonville. And as soon as you step into the cockpit, enjoy unfettered access to opulent cabin features like leather upholstery, heated front and rear seats, and available Italian silk integrated into the seats. As soon as you see and feel the athleticism of the new Maserati Ghibli in person, you’ll be ready to apply for financing. 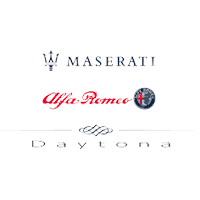 At Maserati Alfa Romeo of Daytona, we have plenty of options for you to choose from, as well as a highly trained sales and service staff that are here to help you out. Make sure you’re getting the best deal available right now by having a glance at our current new vehicle specials, and then make your way to come see us in person at our dealership in Daytona Beach. While you’re at it, be sure to check out the Maserati Ghibli reviews, as well as the Maserati Ghibli interior features.